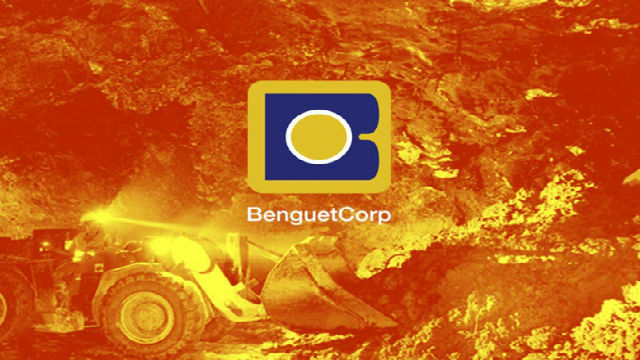 ITOGON, Benguet – Benguet Corporation strongly opposed the Minahang Bayan applications filed by the Benguet Federation of Small-Scale Miners (BFSSM) considering that more than 90 percent of the applied area falls within the company’s patented claims and tenement. In a 5-page protest submitted to the Benguet Provincial Mining Regulatory Board (BPMRB), BC sought the outright disapproval of the Minahang Bayan application of the group because it transgresses and are considered to be within private properties covered by patended mineral lands and valid patentable mineral lands under its name located at Luaccan, Antamok, Acupan, Virac, Tuding, Ucab, Gumatdang and Ampucao here. BC emphasized that the Minahang Bayan applications of the pocket mining group was filed without its consent and as shown in the publication made on June 10, 2018, initial survey investigation of the areas applied for Minahang Bayan allegedly transgresses either the whole or portions of its mineral lands and patentable mineral lands more particularly those covered by Parcel, 1, Parcel 2, Parcel 3 and Parcel 8. The protest stated that the area covered by Parcel 1 of the application consisting of 200 hectares is entirely within the patented and patentable mineral lands of the company and considering that the affected mining patents are owned by Philex Mining Corporation which under royalty agreement with BC, it will provide the PMRB with copies of the said documents. Of the 1,100 hectares covered by Parcel 2 of the application, BC disclosed that 745 hectares transgresses into the patented and patentable mineral lands of the company while of the 1,600 hectares covered by Parcel 3 of the application, 967 hectares transgresses into the company’s mineral lands. Further, of the 440 hectares covered by Parcel 8 of the Minahang Bayan application, BC asserted that 157 hectares also transgresses into its patentable and patented mineral lands. BC underscored that majority of the areas subject of the application covers almost 90 percent of the total patented and patentable mineral lands of the company located in the mining communities of the town wherein the company was able to acquire legal rights and interests over its mining properties and it will definitely be deprived of the said rights for the conduct of its mining business in a manner that it deems fit and proper with the approval of the Minahang Bayan application. According to the protest, among the areas included in the assailed Minahang Bayan application have been earlier identified as part of the rehabilitation options of the company under its final mine rehabilitation and decommissioning plan for its mine operations in Antamok and the said options for rehabilitation or alternative land use are primarily intended to serve the business objective of the company as well as promote the interest of the community and local government. BC argued part of the company’s mineral lands affected by the applications are subject of existing contracts or agreements with the local government, Department of |Education and the community such as the town’s temporary residual containment area for use of the locality, the usufruct for the Balatoc and Acupan Elementary Schools, the area donated as relocation area to the residents of Camangga-an, Virac, Itogon among others. On the other hand, BC pointed out areas in Acupan are being operated by the company In partnership with the community as contractors under its Acupan Contract Mining Project with existing permit from the Mines and Geosciences Bureau (MGB) and it has already identified and approved the declaration of 2 Minahang Bayan sites in portions of its Antamok mineral claims containing a total area of 86.2493 hectares and the same was declared in the company’s aim to give back to the community and indigenous peoples by providing them legitimate livelihood and regulate unregulated mining activities. BC informed the PRMB that it issued its consent and endorsed 2 small-scale miners’ groups which are composed of the original settlers in the community and indigenous peoples to file the necessary Minahang Bayan application which at present is being processed. The mining firm emphasized that it is not only the company that will solely suffer damage and great prejudice but also the local government, government agencies, indigenous peoples and the community as well as it will affect the existing contracts or agreements entered into for the operation, occupation, use and future plans of the properties will be affected if the Minahang Bayan application is granted. Since BC is the one in possession and control of the subject area, which is part of its patented and patentable mineral lands, the company argued that the federation’s Minahang Bayan application will surely cause complete prejudice and have adverse consequences to BC and that its current and future plans over the mining areas will be affected and that its net effects will be to impede the industrial activity, the implementation of its rehabilitation options, the maintenance of its existing facilities, social commitments and socio-economic activities and earnings of its mining projects to the prejudice of its stockholders, investors, employees, contractors, suppliers, community and even the government, who imposes regulatory measures to BC as a mining company. Considering that the company is not willing to issue its consent to the Minahang Bayan application of the federation, BC stipulated that there is a necessity for the denial and rejection of the application in as far as the areas which transgress and overlap with its patented and patentable mineral lands.